Why choose a Modular Home Builder for your addition? We can help your growing family, your swing space needs, custom-designed space, or any Modular Construction project while saving you time an money over standard addition costs. Call us today for an in-home or in office, no obligation. Designing your dream space does not have to be daunting; while the choices and options may seem overwhelming, we have a few tricks up our sleeves to turn your fantasy into a reality. We will walk you thru your dreams, helping you to envision all the possibilities, and make the most of your expanding space without expanding your budget. We love when our happy customers refer us to new clients! Our modular homes are not cookie cutter; every aspect from size to material to finishing touches are completely customizable. Whether it is a simple space for gathering and entertaining, or making the most of every inch with ingenuity and creative solutions, we will be your partner in turning those dreams into reality..
Over our 30 years helping homeowners to build their dreams, we have assembled a team that works seamlessly to take your from zoning and permits to the final CO. From architects and surveyors to electricians and masons; from excavators to erectors, we put your team in place to maximize your budget, minimize the process time, and most importantly, to reduce your stress. Our pre and post set managers handle coordinating and communicating with all the various parties involved in making your dream a reality. So sit back, and let us build your dream space. Remodeling a home is a big undertaking, but a well-planned home addition will pay for itself time and time again. Boost your home's value and extend its square footage with an impactful home addition. Maximize your investment by selecting the perfect materials and details to enhance your home's value and character. Whether you are planning a one-room addition, a second-story add-on, or an outdoor room, check out our photos of additions for inspiring ideas to implement in your own home addition. Ensure that your new home add-on is a success with our helpful home remodeling ideas, inspiration, and expert advice. Signature Building Systems is a modular home manufacturer founded in 1992 by experts in systems built housing. We are a manufacturing leader in custom designed pre-site built homes. Signature Building Systems has built over 4,000 quality homes that provide exceptional value and savings to residential and commercial buyers. Working ​closely with the owners to maximize space with a tight budget! On a warm day last week, Adams stood on Sunrise Drive looking up at her new home. It has only wooden studs where the interior walls will go, and a hole where stairs someday will lead to the basement. But the new roof is there, 3 feet taller than the old one. This mega-event will bring together more than 80,000 builders, general contractors, remodelers, designers, flooring professionals, as well as product specifiers from around the globe. Have you and your family outgrown your home but you don't want to move? Do you love your neighborhood, but need more space? Then call on ​​Modular Construction Services Builders, a custom home builder with more than 30 years of experience. We help homeowners realize the full potential of their homes in 90 days with the help of our patented Systems Built Technology. Finding a custom home contractor to build your new home or add to your existing home might seem overwhelming. Rely on our exclusive team of professionals to finish every custom home building project with superior craftsmanship. We also provide.free estimates and consultations throughout the process to keep you thoroughly informed and satisfied with your new or renovated home. Prefabricated homes, often referred to as prefab homes or simply prefabs, are specialist dwelling types of prefabricated building, which are manufactured off-site in advance, usually in standard sections that can be easily shipped and assembled. 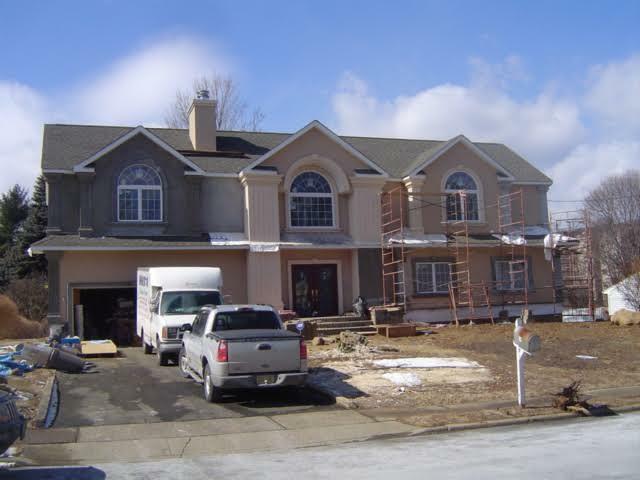 At NJ Modular Construction Service, we can take care of the demolition of your existing home as well. We can build you a home and have it completed in as little as 6 weeks from time of order. Our modular homes are manufactured with Energy Star rating making them energy efficient. All walls are 2” x 6” construction with R-21 insulation as a standard and not an option. Our design and build capabilities encompass the full realm of construction from the smallest ranch to the largest two-story condo complex or townhouse. Our design team will help design your new home to accommodate your lifestyle, fulfill your dreams and exceed your expectations. 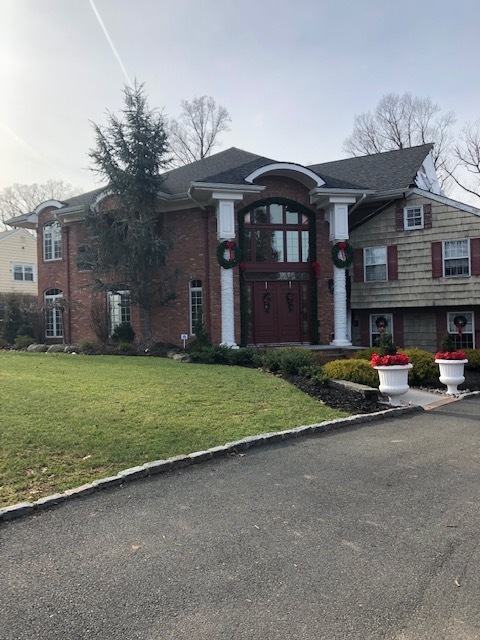 Our attention to detail at NJ Modular Construction Service and commitment to quality provides the foundation for each home, commercial structure and the multi-family unit we build. The average national cost of adding a room or building an addition is $42,348, with most homeowners spending between $20,989 and $65,327. This data is based on actual project costs as reported by HomeAdvisor members. Many homeowners eventually come to that daunting dilemma: whether to buy their dream house or transform their current home into that dream. Once you make the commitment to build an addition, you've probably decided to go down the latter road. This decision might be something you've long considered, or it may have been thrust upon you by an expanding family. In either case, recognize that this will be a profound investment in time and money, but one that, if done properly, will enhance the value of your most important investment: your home. What Type of Addition Are You Planning? Do You Know The Difference Between Prefab Homes Construction And Manufactured Homes? Modular and Panel Built both qualify as a prefab, but are still different. As you can see in the video to the right, panel building is accomplished by laying down the floor and then lowering each section of wall in to place one at a time. This type of construction can be useful in building houses that don’t work neatly as modules and it can be just as structurally sound as other types of prefabricated building. The commercial prefabricated building is often done this way as it allows for wide open spaces and high ceilings. It is also much less expensive to transport a building in panels than in modules if it is large enough. Some cost factors here are obvious, such as the size of a porch or extra room. But the nature of each project carries levels of complexity that might not be immediately apparent. Early on, you'll want to get a handle on how many general contractors, electricians, plumbers, carpenters or decorators you'll need to complete the project. You'll also want to consider the cost of permits and inspections. Then, budget at least some extra cushion for the unexpected. An example: Perhaps you have an older home, and when your contractors tear up your carpet, they discover structural problems with the flooring or maybe the plumbers find old pipes that need to be replaced. Hope for the best, but plan for at least a bit of the worst. There are convincing arguments to be made in favor of prefabricated housing. Once you have your plans in place, remember that you can always make changes that modify your budget as you go. For example, maybe get a mid-grade carpet instead of the highest grade available. Wait for a sale to purchase items like paint, appliances or new windows. Use coupons. Look for rebates. If you have the time, plan your remodel or addition as early as possible and start purchasing items you know you'll need early. This way you are incurring a slight cost over time and not a large cost all at once. You may also be able to afford a higher end product that you would normally not be able to afford if you tried to purchase everything at one time. Depending on how your size-and-complexity plans work out, you may find you need one general contractor, or you may find you need a team of specialized professionals. For example, if you are doing a remodel, you may want to start by consulting an interior decorator. But, as with hiring any home professionals, you want to be cautious about whom you choose. For instance, watch out for decorators who offer free services - these can actually be a manufacturer's representative pushing certain products. Besides narrowing your options, you may pay more in the long run. A flat-fee decorator might look like a great bargain at the outset, but make sure that this person won't insist on acting as your exclusive buyer agent. You don't want decorators who will steer you toward marked-up products that carry larger commissions for them. Always check prices you get from your decorator against retail. You may also need to hire people that you didn't even think about - such as a structural engineer. The structural engineer inspects the foundation, infrastructure, curtain wall, insulation and building envelope. Through careful inspection and comparison to the approved building plans, the engineer can ensure that the actual building meets the drawings provided and that any necessary corrections are made. While this might be an extra cost that you didnt initially anticipate, the safety of your structure is paramount, and this simple exercise can save you money and legal hassles down the road. Because the interior for an addition can be so involved, it's easy to forget or discount the effort needed to make the exterior shine. You will need to consider the siding and roofing materials you would like to use to finish this space. And you might weigh the quality of exterior materials against their visibility. Also in the cost of the addition, be careful to factor in the permits needed and the work needed to prepare the foundation. Yes, these big projects can be daunting undertakings. But driving the projects moment must be your goal to reap the benefits once it's done. You will have a more beautiful and functional home. And if you execute your project strategically, you'll find that its worth considerably more than when you started. Kind of makes all the sawdust and fear worth it. Since the beginning, Modular Construction Services has been committed to helping homeowners throughout the region have a stress-free experience throughout the addition process. Beginning with our free, on-site consultations, we will provide you with an accurate estimate of what it will take to turn your dreams into reality. Customer care and quality construction are the first priorities at our New Jersey mod construction services, and this philosophy shines through in each step of the building process. Regardless of the size or complexity of your addition, we have the expertise that you need to ensure a seamless process. As the most trusted name for Additions to Homes in the region, MCS provides exceptional benefits to all of our customers, including home additions, prefab additions, plans, modular pricing. Working with a fast, effective Modular Home Construction method is our expertise, but we still recognize traditional protocol. We never work without first consulting with our engineering team, who determines how your project will be affected by zoning requirements, availability of utility, and the existing structure of your home (if applicable). When plans and budget have been determined, our modular building contractor then secures the proper permits. Only after these necessary steps have been completed do we break ground on the project. It sounds extensive, but taking these measures ensures the quality of your home for years to come. While we pride ourselves in our 90-day setting up period, we never let any detail slip. Our reliable on-site management controls the time spent on each project, which means your custom home is ready in less time. Thanks to our Systems Built Technology, 80% of our units arrive completed at the construction site and come pre-inspected. This eliminates delay times caused by failed inspections and unexpected costs to your custom home. In addition, the custom homes we build are more eco-friendly due to their quick turnaround times, which reduce the amount of waste created from construction. We also use 20% more wood than traditional structures, which equates to 20% more energy efficiency in your home. A typical renovation or addition requires building, electrical, and plumbing permits. We handle this entire process. Having a licensed builder, licensed plumber, and licensed electrician will ensure that your project is done safely and will meet all the municipalities' requirements. Once we obtain the permits, the remodeling process will begin and you will soon be enjoying your dream home. The first step for home remodeling is to schedule an appointment at your home with a member of our staff and our licensed architect. We will take measurements and determine the best use of the space. Whether you are adding square footage, removing walls to create an open floor plan, or finding ways to bring in more natural light the possibilities are endless. We will then schedule an appointment at our office to meet with our staff to go over your plan and cost estimate. Assuming we meet all of your expectations we will begin the permit process. serves the following and surrounding areas. Want to know more about The New Way to Design your Home? Get the latest news, insights, and ideas from The New Way to Design your Home when you join Modular Home Construction. I'm really surprised at the other review on this site (looks like one bad perspective, and 2 of their friends). Our experience with MCS was stellar. I've used them for a large and a small project, and I've since recommended them to a few friends and colleagues - 2 of them went through with projects and had similar, positive experiences. The modular addition was a great approach and Christian was a highly responsive contractor. We added nearly 1000 square feet to our house, and only had to spend a weekend at a friend's house, saving us a TON of money (if our addition would have been built onsite, we'd have had to rent an apartment for a longer stretch). We tried a number of contractors and really were met with very sketchy folks, scarce referrals, and questionable estimates - and that's if they got back to us at all. Christian called us back EVERY time, was straightforward with what costs would be, was spot-on with our estimate, and though time ran a bit longer than promised, there were hiccups in the process on our end and on theirs - and really, with any large project, you have to expect that. Throughout MCS was honest and transparent about it all, which we really appreciated. We love our addition, and MCS still checks in with us after over a year to see how things are going. In looking at the other review, I'm left wondering if they were realistic about all that goes into a big addition. With any large project, you have to have some expectation of complications If you are looking for someone who will be responsive, honest, and not disappear in the middle of a project (I've heard nightmare stories about other contractors) and really diligent in following up, MCS is all that and more. I can't say enough about how happy we are with their work.